The Faculty of Medicine, Dentistry and Health Sciences offers extensive span of programs, courses and subjects cater to students with diverse needs, backgrounds and aspirations and lead to strong career outcomes, working opportunities and social events. If you've got questions about undertaking postgraduate study at the University of Melbourne, then this event is just for you! The graduate coursework and research degrees offered by our schools are the perfect way to begin or progress your career. 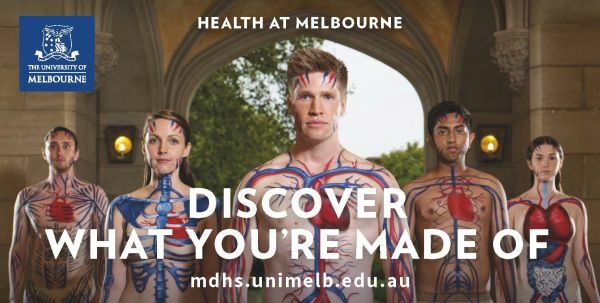 Representatives from all schools in the Faculty of Medicine, Dentistry & Health Sciences as well as the wider University of Melbourne will be present to answer your questions about postgraduate study at Melbourne. You'll also have an opportunity to hear from a range of different academics in exciting fields across the University, including from the Faculty of Medicine, Dentistry & Health Sciences. Find out how to take the next step in your psychology career by learning about our Graduate Diploma in Psychology and the new Master of Applied Psychology. The graduate diploma is designed for students who don’t have a background in psychology who wish to take their first step towards becoming a registered psychologist. The Master of Applied Psychology is aimed at psychology graduates who wish to pursue a career in the application of psychological principles and theories to real-world environments including business, government and health sectors. Hear from our academic staff about the theory and practice of social work and how you can pursue a career working with individuals, families and communities to address social issues and improve lives. The nationally and internationally benchmarked course prepares you for professional practice in a diverse range of social work contexts. Our academic staff will be on hand to answer your questions and share their experiences of working in a wide range of practice environments.